We reached our goal!! Thank you to everyone who helped us successfully raise funds to continue with The Upside of Down!! We've completed shooting the next 8 episodes! Look for them online coming soon! a web series I wrote, created, produced and star in is finally here!! Teaser from my photo shoot with Kali McCabe. 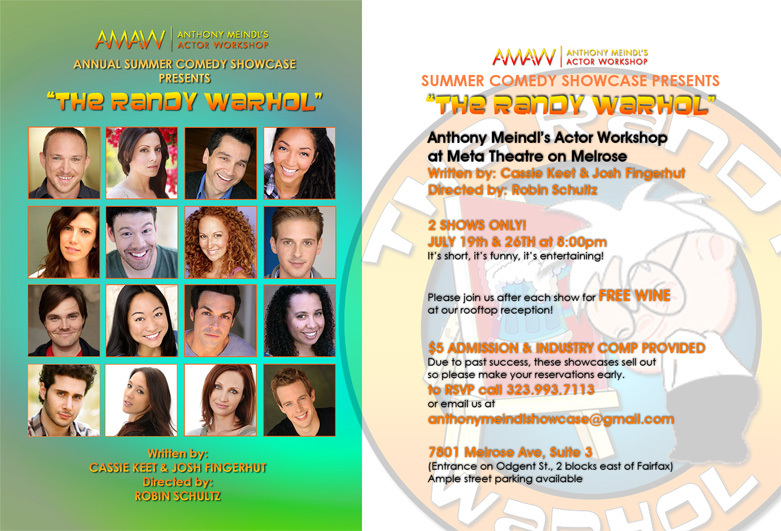 Come check out the Anthony Meindl's Actor Workshop Winter Comedy Showcase! In addition to being a part of this hilarious cast, I co-wrote two of the scenes, including the one I'm in. It's going to be a fantastic show! Free wine and industry comps. Call to make a reservation. I just signed on with Royalty Rope Inc. Management Company! I am the face of Antoinette Paris a new high end French Lingerie company! I play Allison, daughter and high school cheerleader! The website and pilot will premier soon! Check back for updates! !